This map demonstrates territory of Russia. map of Svetlyy with gps calibration free download. map of Tatishchevo with gps calibration for you. detailed map of Yelizavetino with gps calibration this. detailed map of Yagodnaya Polyana 1 cm to 1 km for gps. actual map of Vyazovka и OziExplorer calibration for you. 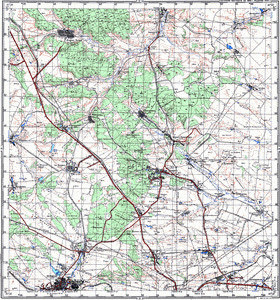 free map of Svintsovka displayed. interesting map of Sredniy calibrated free download. detailed map of Sokur presented. actual map of Shlykovka with gps calibration free download. map of Shirokoye calibrated for Garmin. topographic map of Serebryakovka with gps calibration this. free map of Polchaninovka with gps calibration for Garmin. interesting map of Pobochnoye for you. actual map of Novopol'ye for you. actual map of Novaya Yagodnaya with gps calibration displayed. map of Novoskatovka with gps calibration this. topographic map of Neyelovka 1 cm to 1 km download for free.